Life has come full circle for Eva Tucker-Nevels. As a kindergarten student at the former Kealing Elementary School in the KCK School District, she admired her teacher so much that she decided right then and there that she wanted to spend her life teaching others. Today she is not only an educator, but also an administrator, serving as principal at the same school – now known as Banneker Elementary Science and Technology Magnet. Tucker-Nevels has spent most of her career in the KCK schools and she can’t imagine her life any differently. After earning her bachelor’s degree in education from Emporia State University, Tucker-Nevels began working as a kindergarten teacher at the district’s former Riverview Elementary. She also taught other grades at several elementary schools in the district. Then she was granted sabbatical to serve as a Fellow with the Learning Exchange before taking a position as a national trainer with the Efficacy Institute. Three years later she returned to the district as a school improvement facilitator. She has been principal at Banneker since 2004. 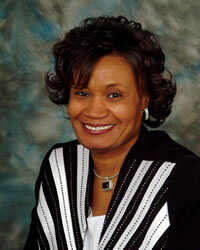 She earned her doctorate in education (teaching and leadership) from the University of Kansas in 2003. A supportive family gave Tucker-Nevels reasons to believe in herself growing up. Her Mom and Dad encouraged her to pursue her dream of teaching. And her older brother, John, would regularly walk her to the library to check out books, instilling in her the love of learning. Tucker-Nevels is active in her community, especially her church, Walnut Boulevard Baptist where she wears many hats, including that of choir director, youth director, pianist and more. She is a member of the NAACP and the National Association of Elementary School Principals. Her advice for today’s students is “never give up on your dreams. Even though you have challenges in front of you.” She wants students to remember to use the wealth of resources around them and to pull from their inner strength to help them succeed.